Thank you donors for the tickets. It was a blast. 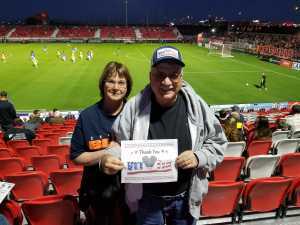 Thank you Vet Tix for tickets to the Phoenix Rising soccer match and thanks to all the donors. My family has long been fans of soccer and this game didn't disappoint. There was plenty of action and many scoring opportunities for both teams. It was a great night. This was a great night out with my Navy brothers. Thank you so much for donating these tickets. Especially one friend who works all the time even more then when he was in the Navy, this is the one time he can go out. 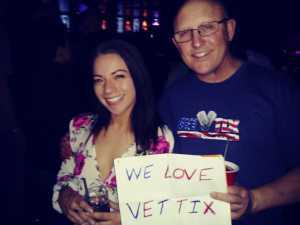 It really means a lot that so many care about all of us veterans and active duty members. 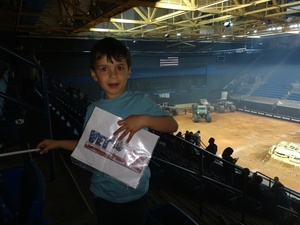 Thanks so much for the Traxxas Monster truck tickets.... Our grandson had a ball!!! !